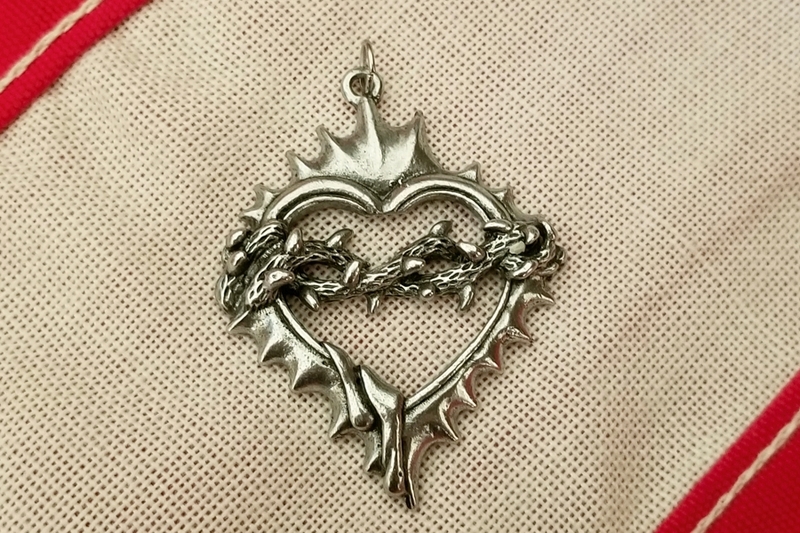 Long a symbol of the Sacred Heart of Jesus, is a Crown of Thorns wrapping a flaming heart. Familiar to Christians, and especially Catholics, it is a symbol of Christ suffering for our salvation. 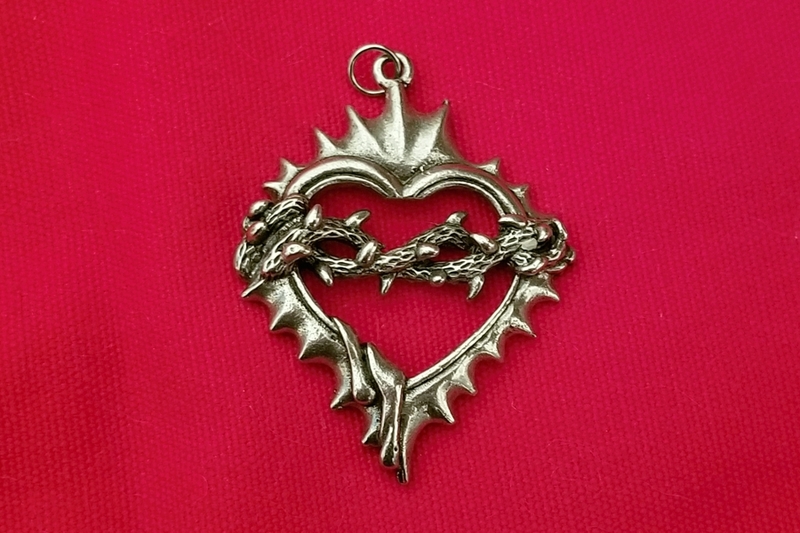 Because of the mystic nature of the Sacred Heart of Thorns, it has also attracted many tattoo artists and goth aficionados find this a favorite theme. Whatever your belief or interpretation of this symbol, you will find this a stunning piece to wear. Because of its weight, you'll find that it is a perfect centerpiece for a necklace of any sort. 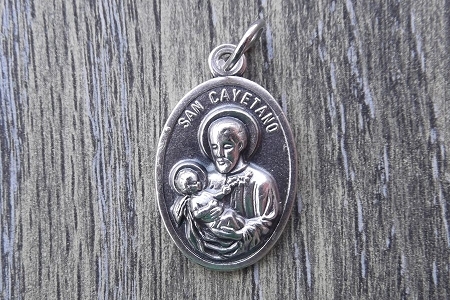 It is made of genuine high quality lead-free pewter, accented with ancient style oxidation. 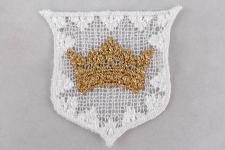 The pendant measures 2-1/2 inches long by 2 inches wide. A matching jump ring has been added for your convenience.